Irma weakened Monday to a tropical storm, losing some of its punch but still packing powerful winds that stretched from central Florida to North Carolina. MIAMI: The remnants of Hurricane Irma swept north through Florida on Monday, leaving behind a trail of debris, flooding and power outages after the storm roared up the state's Gulf Coast and brought its drenching rainfall and battering winds into Georgia. 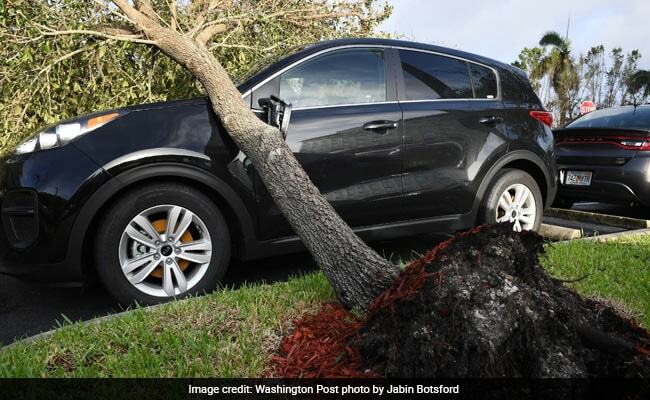 As the storm roared through Florida, thrashing winds tore down trees and power lines alike, and by Monday afternoon officials said the storm appears to have cut power to a majority of the state's 20.6 million residents. "More than half of the population of Florida is out of power would be my guess," Eric Silagy, president and chief executive of Florida Power and Light, the state's largest utility, said at a news briefing Monday. Silagy said as many as 9 million people are affected by his company's outages - and while it supplies power to about half the state, it is not the state's sole utility. Florida officials say two-thirds of all power company customers statewide lack power, totaling more than 6.5 million customer accounts. Since each account can represent more than one person, the number of people who lost power may be historic, Silagy said. "We've never had that many outages. 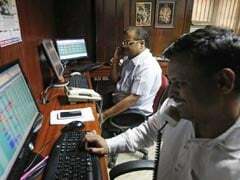 I don't think any utility in the country has," he said. Silagy also cautioned that some people "could be out of power for weeks," particularly if crews need to rebuild parts of the system. The utility had sent out 19,500 workers across Florida to restore power, Silagy said. The utility is also trying to secure more line and vegetation crews from out of state. Because of the storm's size, crews were not able to start restoration efforts until late Sunday night, he said, and they are still not able to move across northern Florida. He also said debris is strewn throughout the state. "This is a storm that has probably produced more debris than we've ever seen in the history of storms," Silagy said. "We've had 10 years of growth that got pruned yesterday from Hurricane Irma, and unfortunately a lot of that ended up on our power lines." Even as millions waited to see when power companies could navigate debris-strewn roads and restore their access to electricity - and with it, things such as air conditioning and refrigeration - Irma surged ever onward, sweeping rain bands through Florida's core and threatening a dangerous storm surge in the populous Tampa Bay area and along the Gulf Coast. Torrential rain fell in the Florida panhandle, as well as Alabama, Georgia and the Carolinas. 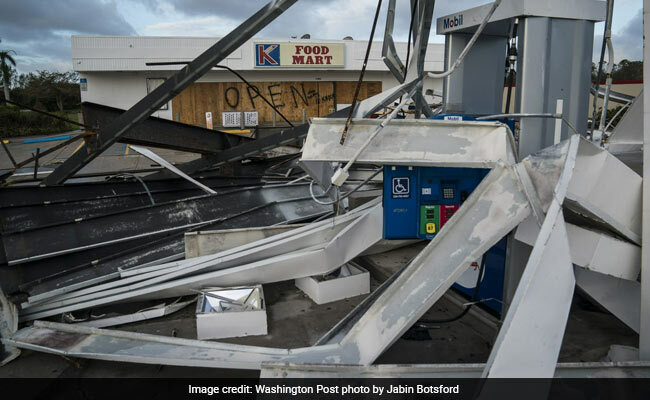 The storm had spent the weekend hammering South Florida with rain and wind before it made landfall twice on Sunday - first in the Florida Keys, then on Marco Island along the state's southwestern coast - as it lumbered northward. 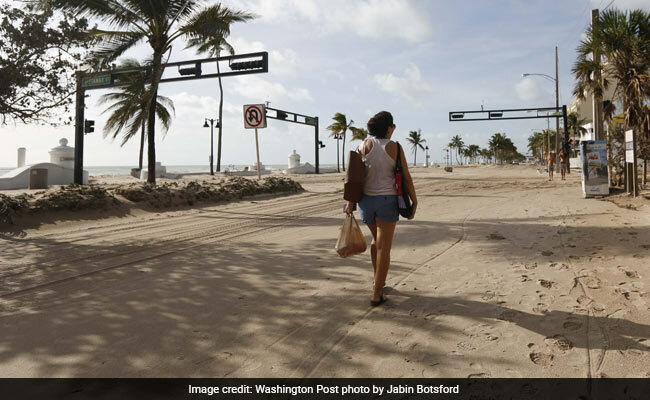 Irma's fury tore apart homes, flooded the Keys, swelled rivers to dangerous levels and, even as it weakened to a Category 1 hurricane and then a tropical storm on Monday, it was far from through. Tampa Mayor Bob Buckhorn said the city was spared "a punch in the face" as Irma swung farther from the city. But he told MSNBC's "Morning Joe" program that emergency teams were deployed to keep people off the streets "when that surge comes." 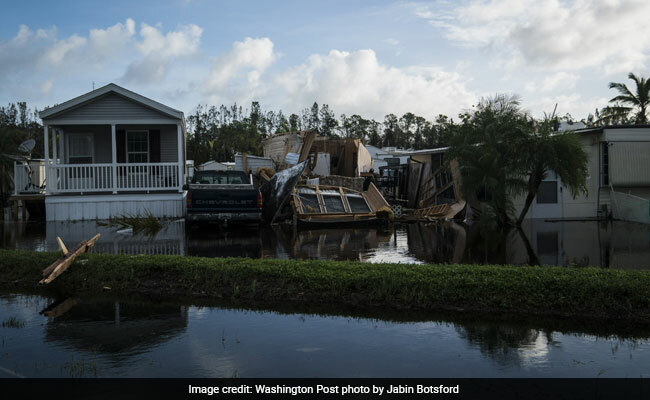 In a sign of Irma's sheer size, South Florida - spared a direct hit many had feared before the storm shifted to the west - was still catching its breath Monday as Irma pelted Tampa with tropical-storm winds and, hundreds of miles to the east, flooded Jacksonville. In Tallahassee, the capital tucked into the panhandle, forecasters warned that strong winds would continue into the afternoon. As the storm headed to Georgia and parts north, that state also hunkered down, as Irma was forecast to deliver rain - up to 15 inches of it in some places - to go with tropical-storm-force winds. In Atlanta, Delta Air Lines canceled about 800 flights from its hub operations Monday in anticipation of "strong crosswinds," which could reverberate through the air travel system nationwide. Thousands of flights have already been halted due to the storm. Atlanta, hundreds of miles from any coast, and more than 600 miles north of the place where Irma first hit the mainland, was placed under its first tropical-storm warning. In Miami, Monday's dawn brought some welcome light after a blustery night. Power was out most everywhere. The storm had finally left after a stronger-than-expected blow that lasted all day Sunday and left the metropolis looking shredded. The residents of the Royal Duke Trailer Court in the Allapattah neighborhood of Miami were just happy to see their homes still standing Monday. Many of them evacuated thinking their mobile homes would be no match for Irma, and they were surprised to see the storm weaken just enough to spare their homes. So the mood at the park on Monday was almost festive. Neighbors were out, talking in Spanish, laughing and helping one another clean up the tree debris. Their power was still out Monday, so none wanted to be inside. Children were riding their bikes and one family was making beans and baleadas - a Honduran bread - on their outdoor grill for everyone. Kat Suarez's family home took a large tree trunk to its roof. The roof of the two-bedroom house was damaged, but the tree didn't puncture the home's ceiling. "We didn't think this was going to make it," said Suarez, whose family has lived in the home since before she was born. "It's bad, but it wasn't as bad as we thought. I didn't think it was going to be here when we got back." "I stayed here so I could tell everyone what happened," said Victoria Barrella. The storm had hit Cudjoe Key at 9:10 a.m. on Sunday. Key West - farther south, at the end of the chain - endured hours of unrelenting rain and high winds, which seemed to peak at about 7 a.m. Though the hurricane felled many trees on the small island and caused some property damage, predictions of potentially catastrophic storm surges and flooding did not materialize. Officials estimated that about 25 percent of Key West's residents stayed through the storm despite evacuation orders. Several people on the island said they felt like they got lucky because the storm wasn't as bad as expected, but they were in the dark once Irma moved on: There was no power, water or cellphone service as of Sunday evening, meaning there was almost no way to communicate with the outside world. After it blasted the Keys, the storm moved into open water again, headed for Florida's mainland, making landfall in Marco Island on the west coast before slowly heading north. Irma had made history when it made landfall as a Category 4 hurricane - the second-most powerful category, with sustained winds of at least 130 mph. Hurricane Harvey also slammed into Texas as a Category 4 storm, which marked the first time on record that two storms that powerful had made landfall in the United States in a single year. Scientists say that climate change is now making such intense hurricanes more likely, since hurricanes draw strength from warmer ocean waters.